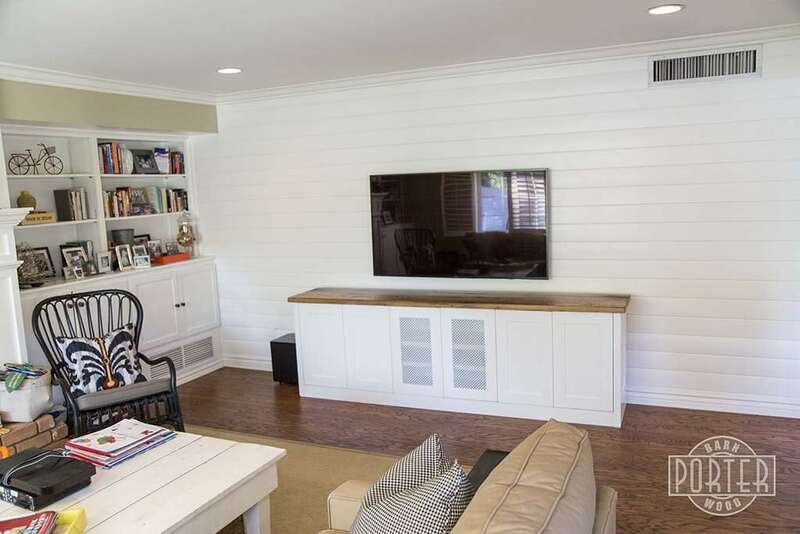 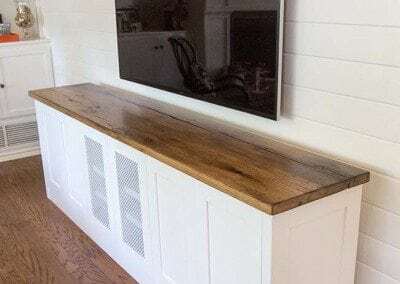 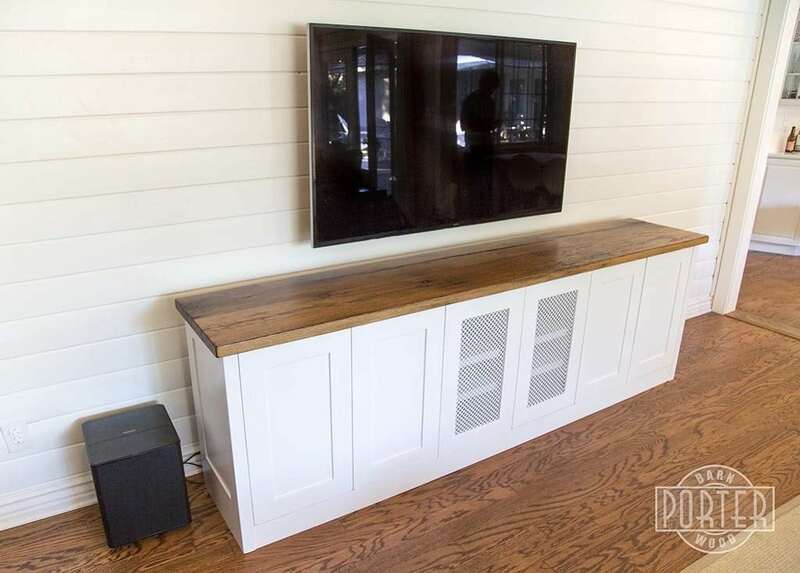 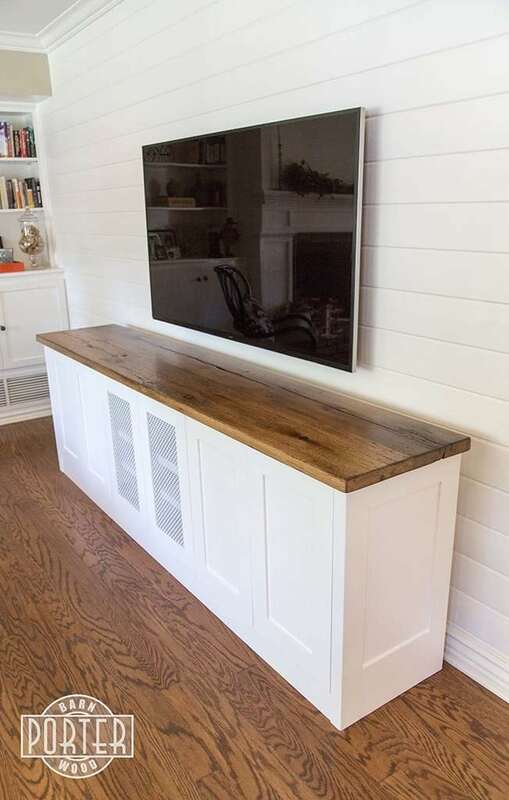 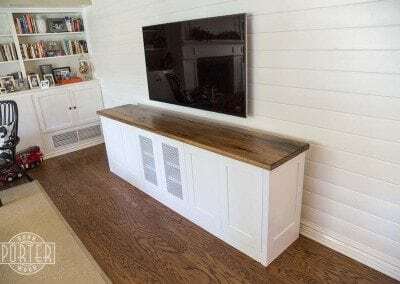 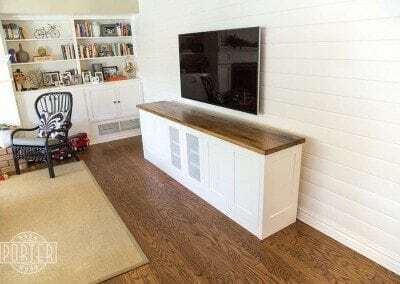 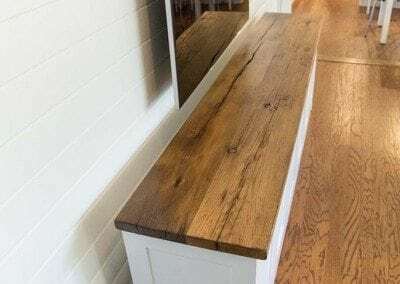 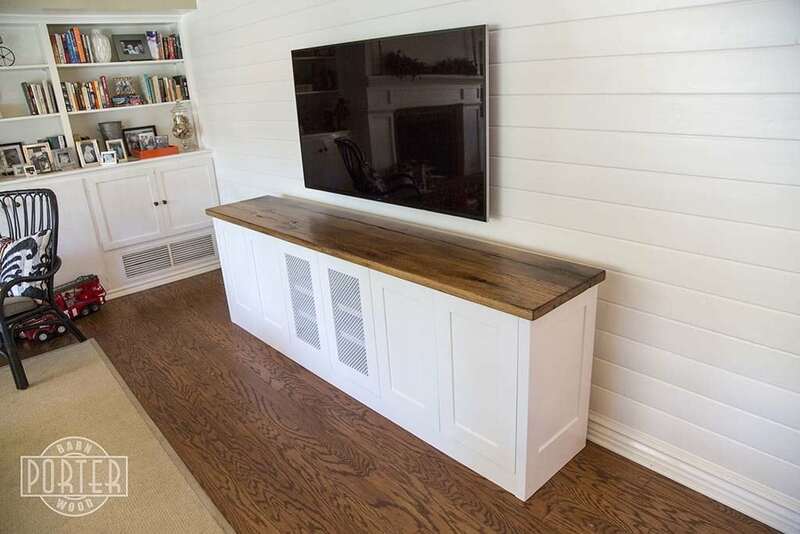 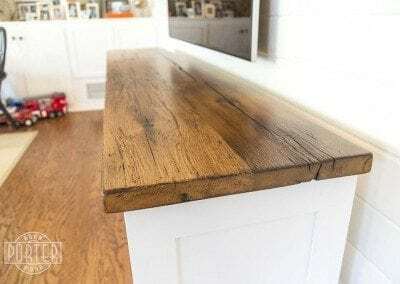 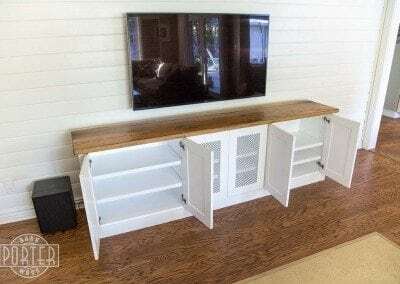 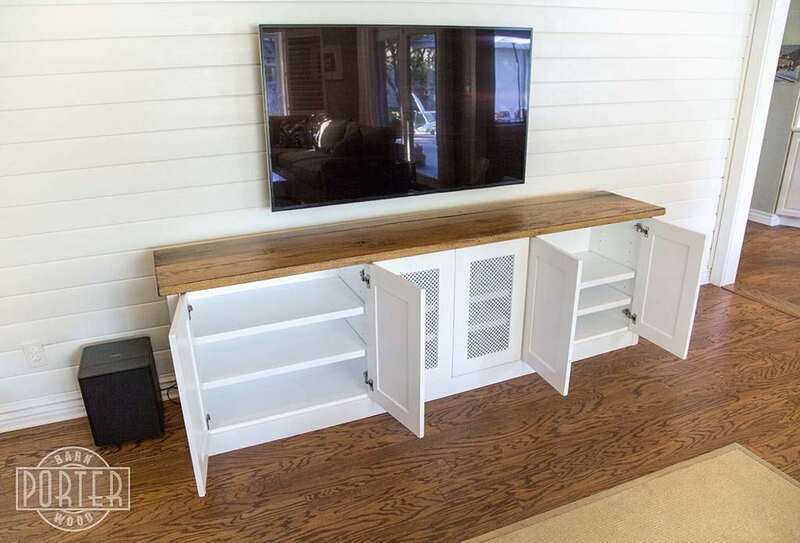 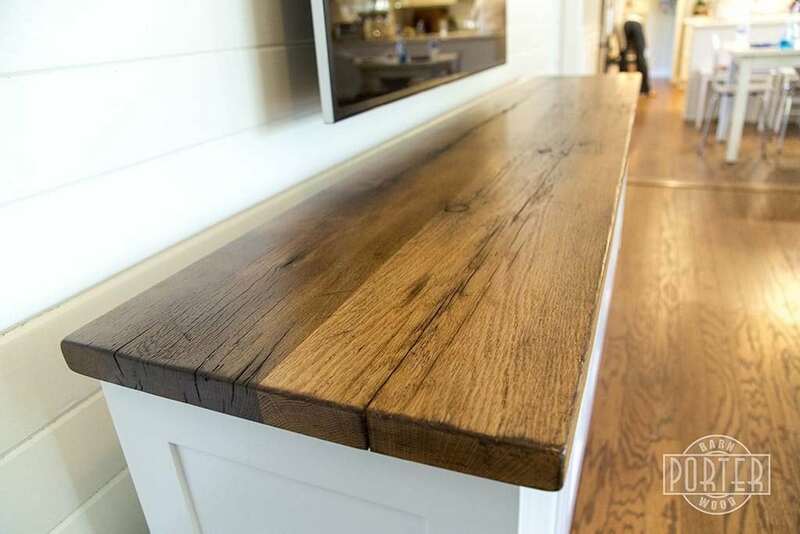 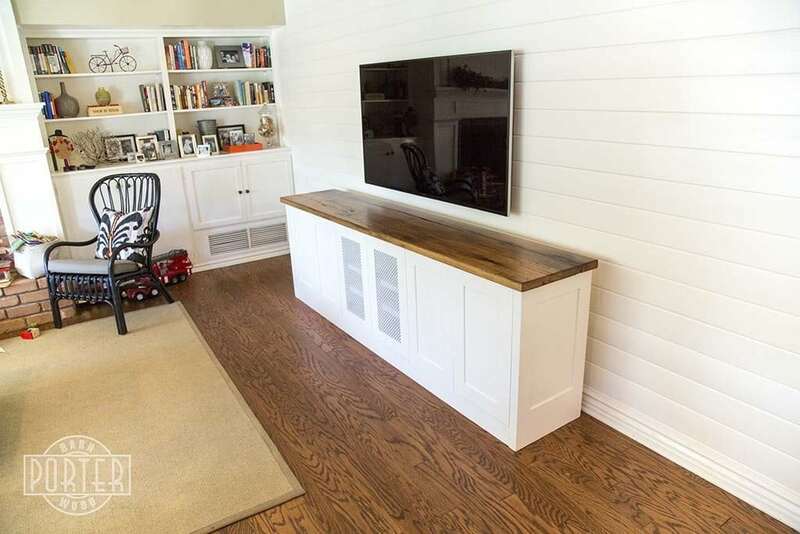 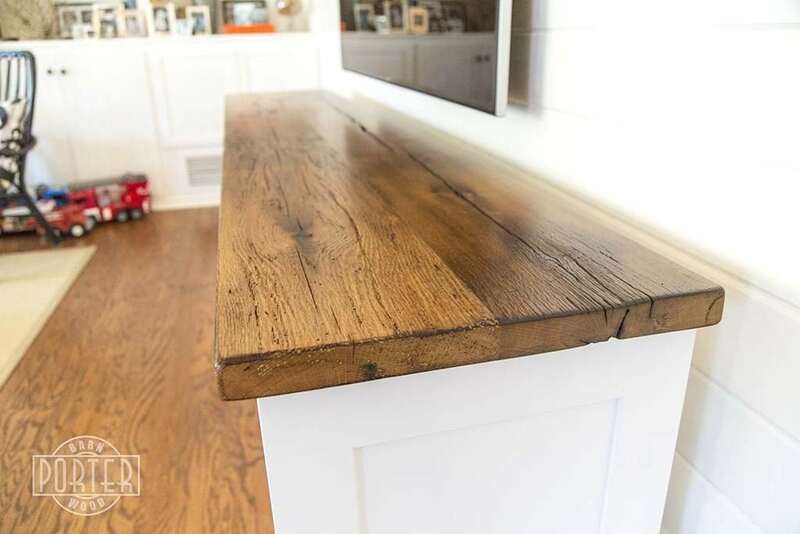 This entertainment center / TV cabinet was topped with reclaimed oak. 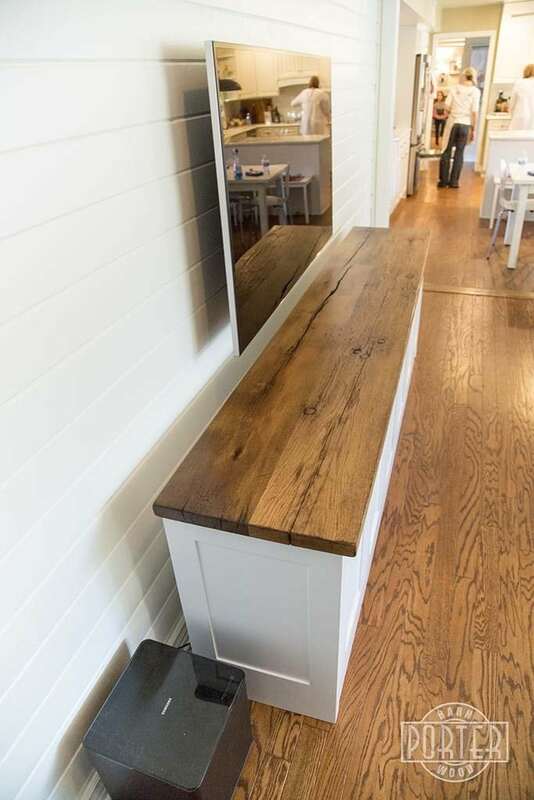 We applied a snow white lacquer on the maple ply and alder base. 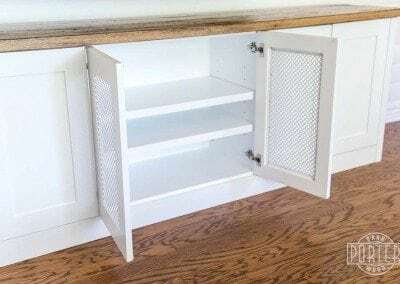 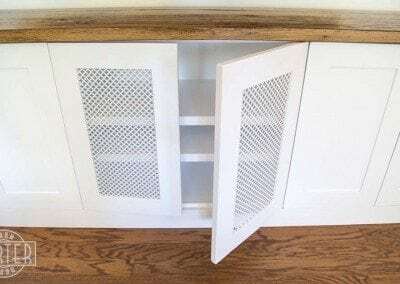 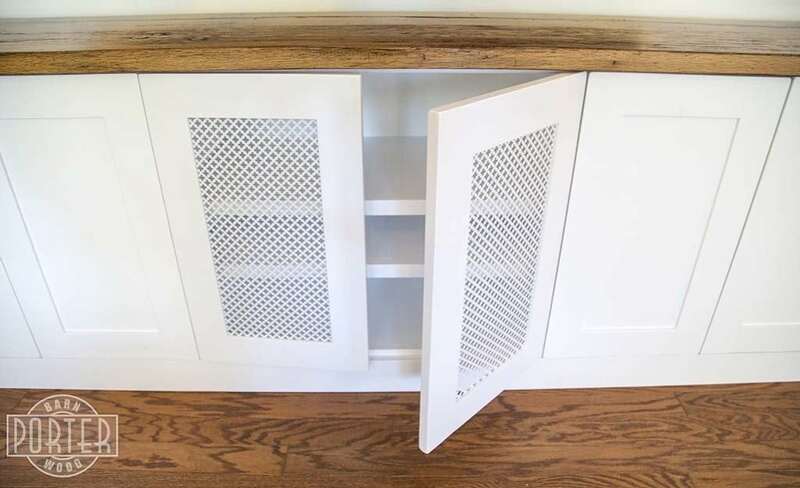 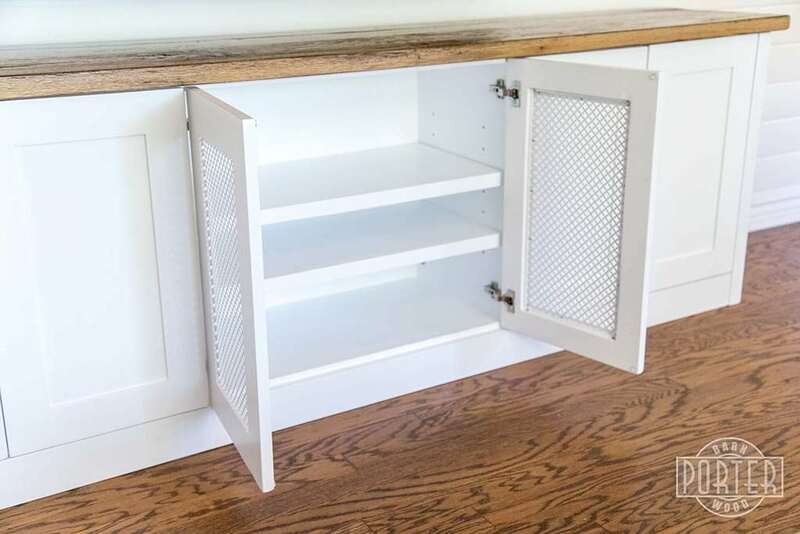 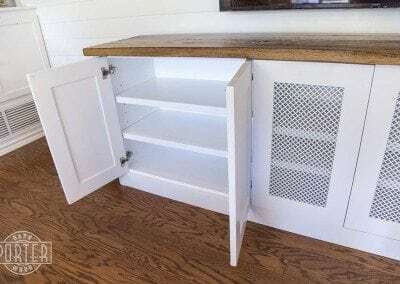 The center cabinet is paneled with a perforated metal in the doors.